Our goal is to ensure all our eye health work is sustainable, accessible and planned with gender and disability considerations in mind. At Sightsavers, we want all our health programmes to include people with disabilities, women and other marginalised groups, such as people with HIV/AIDS and transgender people. 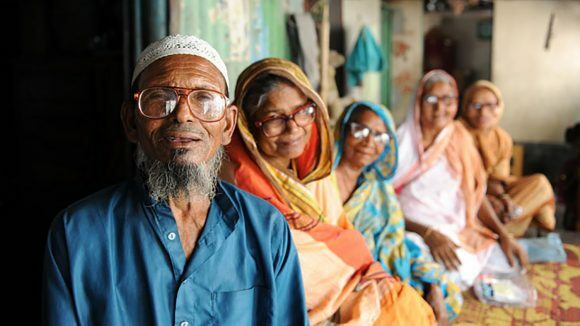 This is particularly important in eye health: we aim to empower marginalised groups so they can get treatment for eye conditions and are able to access other services, such as eye screening. We also work to improve local health care by helping governments and local stakeholders to provide inclusive and sustainable health services that are available for all. It’s an indescribable feeling to know that my granddaughter Sumaiya is going to be helped. 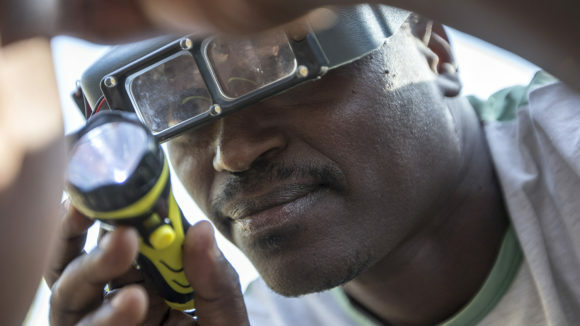 We’re committed to making sure people with disabilities are included in our eye health programmes. 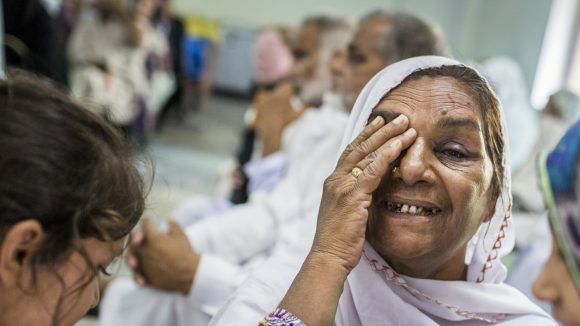 In 2016 and 2017 we tested different approaches to inclusive eye health in a programme in Bhopal, targeting some of the poorest and most vulnerable people. Find out more about the pilot project. After refining our approach, we are applying it to other programmes. 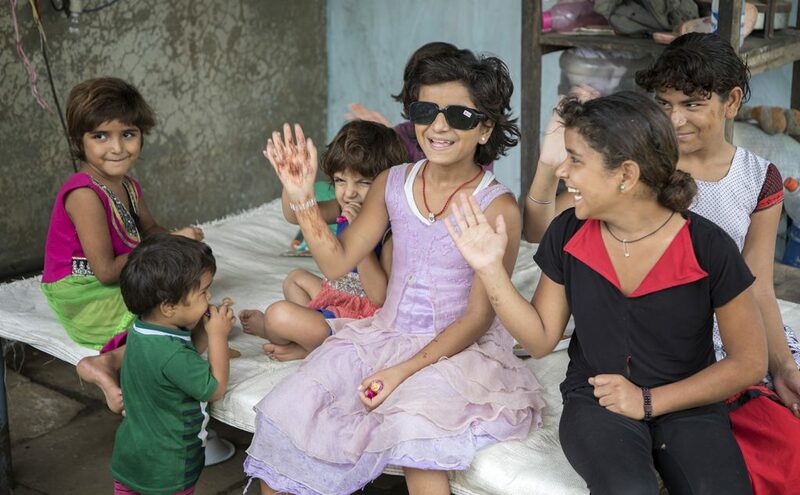 We work with governments, NGO eye health providers and national disabled people’s organisations to make sure people with disabilities are involved at all stages of a programme. Read a blog about our project in Mozambique. 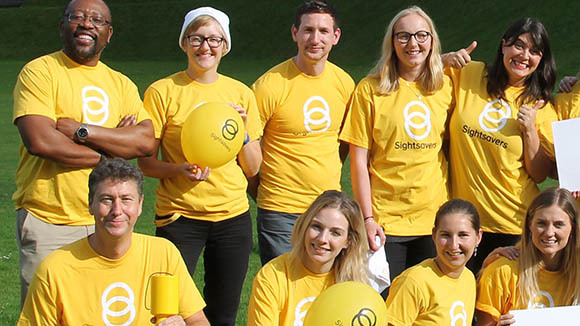 Our aim is to replicate this across other countries where we run eye health projects, initially in Sierra Leone, Tanzania, Uganda and Zambia. In each case we will work closely with representatives of local disabled people’s organisations. 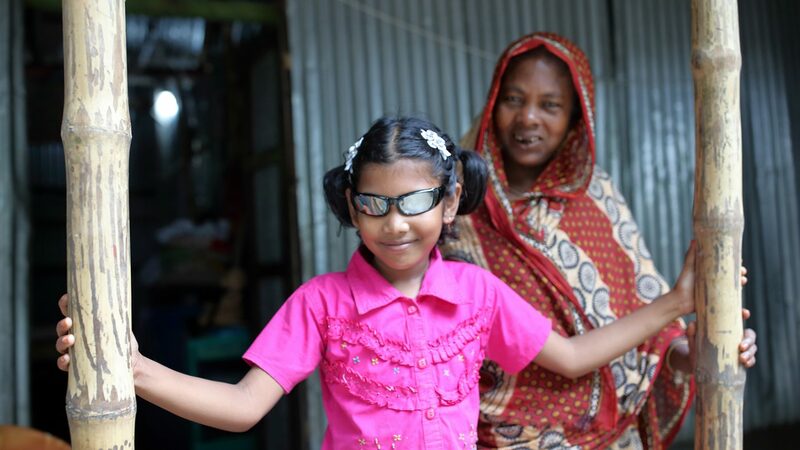 Following our Bhopal pilot, we're breaking down barriers to eye health for people in Pakistan and Bangladesh. 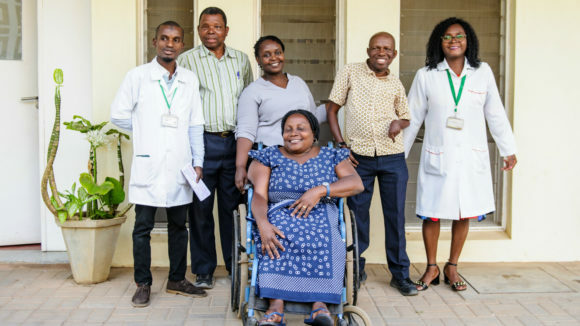 Through Sightsavers’ inclusive health project in Nampula, Camilo Morreira shares his work to ensure that health care facilities are accessible for people with disabilities. 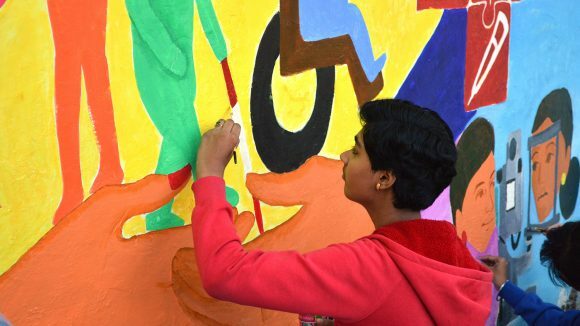 Art students in Bhopal painted striking murals along the wall of a hospital to mark International Day of Persons with Disabilities. Counting the difference: what did we learn in Bhopal? Emma Jolley travelled to Bhopal to revisit the disability disaggregation pilot happening there and take stock of what we have learned in the past year.